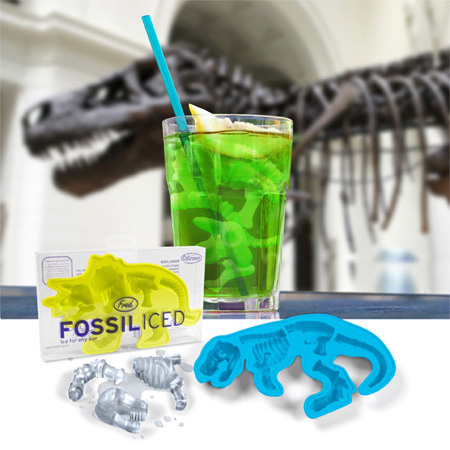 Collection of unusual and creative ice cube trays from all over the world. 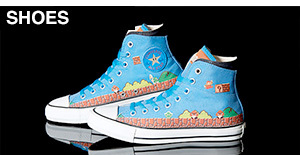 These are so cool…uh, no pun intended. 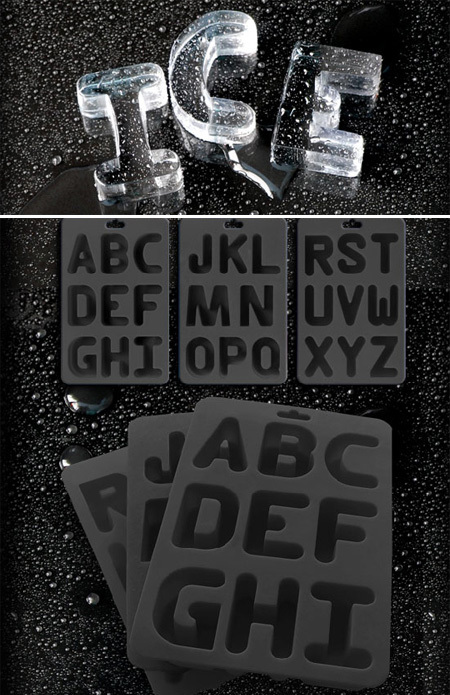 yeah… perpetualkid.com has the most creative ice cube trays. luv ’em! This is so cool! 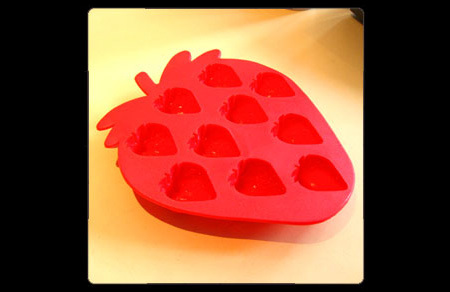 I have an “ice cube of the month club” on my blog– I give out tasty ice cube recipes… how cool to use these trays to make them tasty and fun looking!! Wow, these are cool! Er, pun intended. 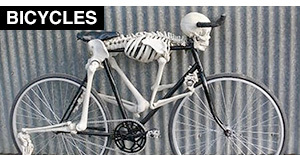 The bullets and the bone chillers rock! I found the alphabet, Bullets, and Princess to be the most interesting and exciting. Pop a cap in you glass? i have the shot glass ones…they’re amazing!!! 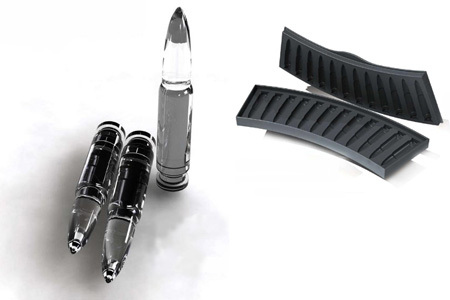 The AK-47 Bullets are Sweet – where can i get it ? This is so cool. I like the guitar and the bullets. 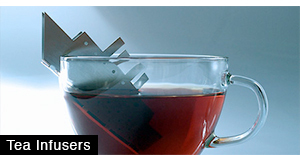 Did anyone notice that all the ice cubes are fake. They are either plastic or a Photoshop item. Nice. I think Pi and the Princess are my favorites (geek + girl). Very cool! 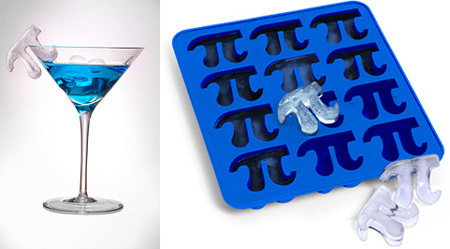 I think I may need to order Pi and Titanic. Thanks for posting these. 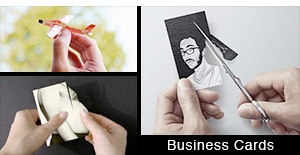 while these are all wicked creative. most of them lack purpose.thermophysics? 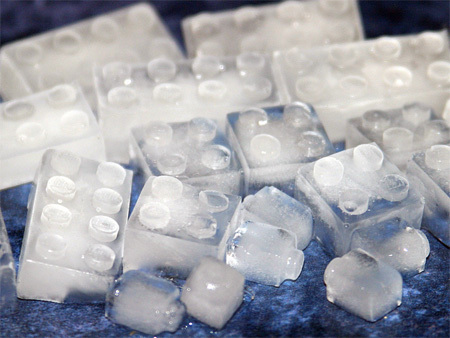 (sic) A normal ice”CUBE”gives the best chilling properties as in the lego cubes have those little nibs on top that would melt first.making your drink watered down.imagine what the snowflake would do to your eighteen year old scotch.cool ideas though. anything to think outside the cubicle. ha! that’s ironic. cheers! drink up!!! ok! ok! cheesey pun as apposed to ironic. ya got me. love the guitar ice. Lets drink to that! haha. I like your pun too, icetender. 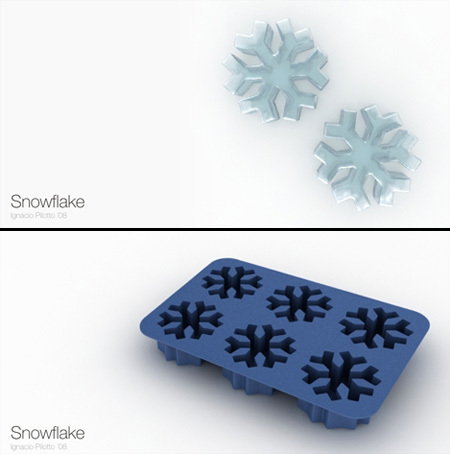 Think outside the CUBE-icle. Hahahaa … Great ideas ! These are great… I just wish you had links to find some of them. 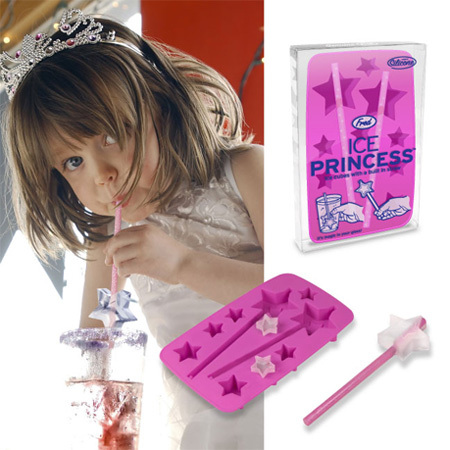 I have so many party ideas in my head right now because of these. On 2nd thought maybe it was good that you didn’t link otherwise I would be buying a lot of them! very good, has really inspired me. very nice ! I try to make it at home ! these are all so great! thanks for rounding them up. 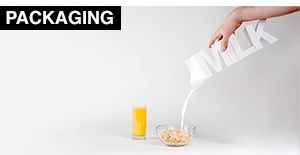 this is so weird and useless. yet AMAZING AT THE VERY SAME TIME. 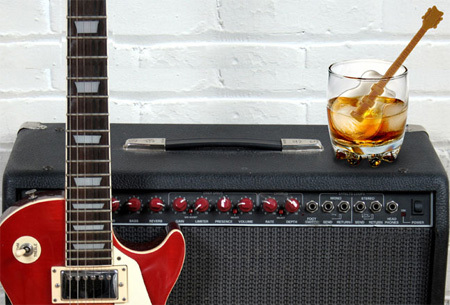 nice puns… fun products… I love my scotch though… Back to the box. 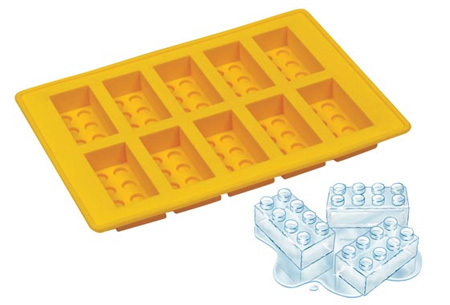 how i can get this ice cube tray?? Super amazing, i must have them all!!! While some of the them are slightly impractical (how could I get the snowflakes out without breaking the edges? :/ ), most of them are ingenious. I want the bullet ones, please! where can you find this?! this became a nice little niche market just about overnight, huh? the guitar with the stirstick built in has gotta be the wittiest. 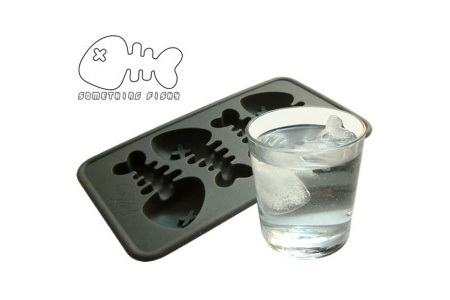 i think a better idea is to make ice shot glasses..
ne 1 in for it? how do the ‘shooters’ work? does the thing inside float or does it flow w/ the water…? or is it photoshopped??? Seconding the frozen shooters idea…all of these are pretty clever. My favorite is an ice tray my girlfriend gave me of penguins. Some of these might be pretty unrecognizable (due to melting) by the time you get your drink served. 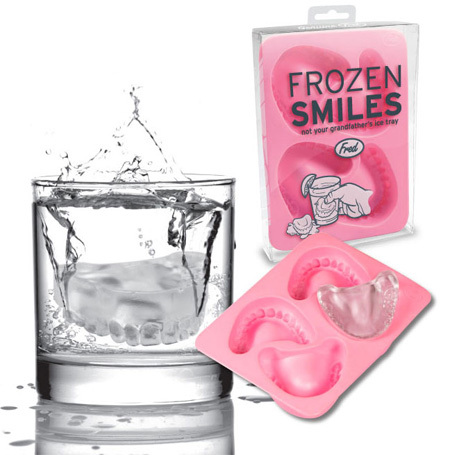 How can I get frozen smile ice trays? I like “Fishbone” and “Guitar” best! But there is nobody sell it in China! I love these! How do you order? I have those Ice Shooter Glasses and they are horrible. 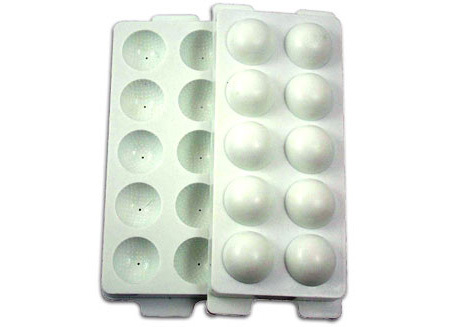 It hurts to drink from them and they will slip away from you. They are also clunky. 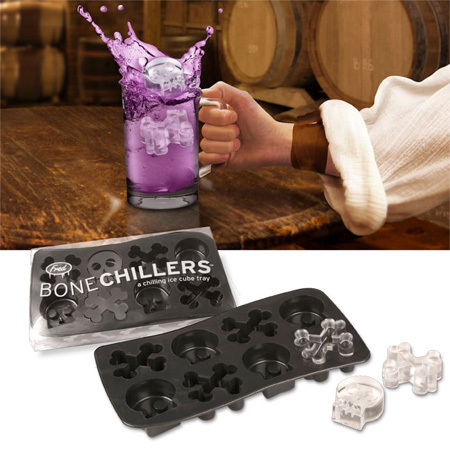 Might be more useful if you want to mix a drink with a shot and simply drop the entire thing in a glass. 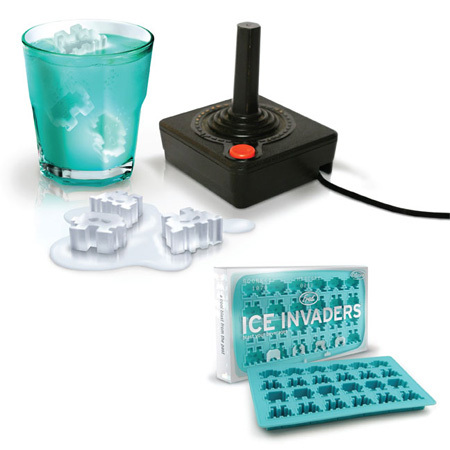 The invaders ones bring back some 80’s memories!! this is really cool i love the bullet one!! frozen smile is soo awesome..
2 damn Awusum!!!! 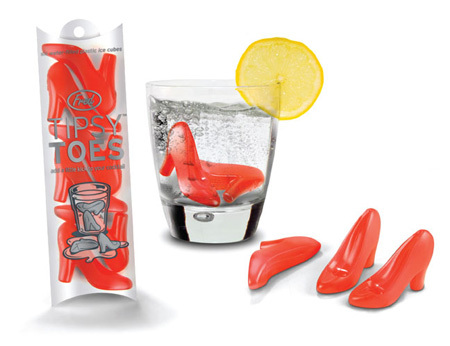 i really lyk the tipsy toes, they r topS!!! Hi, do you have any in the shape of Vespa’s and Lambretta’s please. you can buy most of these at a store near my house. 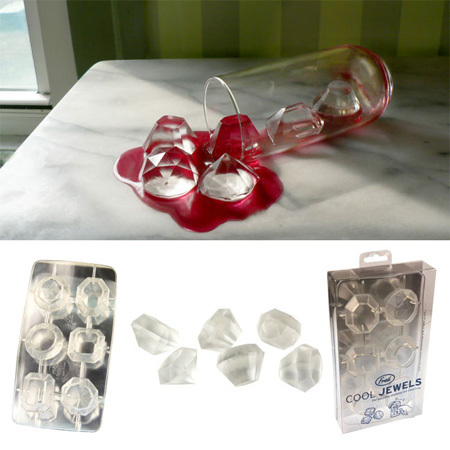 i own the jewels ice cube tray, and they’re really hard to get out. i do not recommend anyone to buy them. Lobster shaped ice cubes ? I LOVE THE ONE THAT LOOKS LIKE JEWELS AND THE SHIP!! 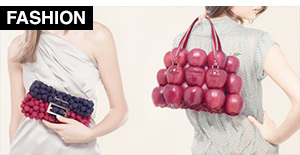 very creative, I would like a few of them. They would make great gifts! All of them are awesome to me. I wish they had one for baby shower punch. I have the Frozen Smiles :’) They are so much fun! I must say these are amazing. Anyone can tell that these are just so freakin cool. i love the guitar one! AND PRETTY MUCH ALL OF THEM! ok. gotta get the gangster style bullets. what stores would carry them in u.s.? 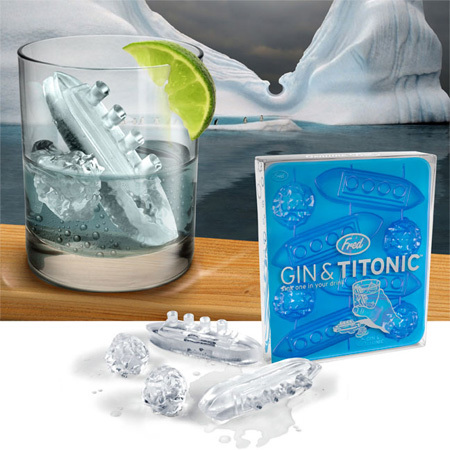 I am very impressed with your Ice cube trays Titonic and Snow flakes.. Love the frozzen shot glass wow just wow. 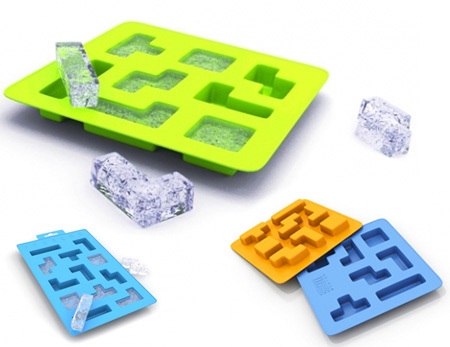 I want to know how do you make a mold of the Ice cube tray? 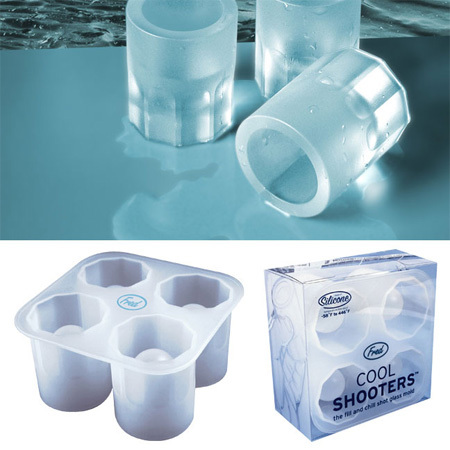 I’ve used the cool shooters but instead of water, I filled them with melting chocolate and made edible shot glasses and filled them with dessert liqueurs. Delicious. Do you have shamrock ice cubes for St. Patricks day?? ?